Blizzard just released a surprise Summer Games 2016 update for Overwatchthat adds a new game mode and a host of Olympic-themed treats. Lúcioball is a new 3-on-3 brawl reminiscent of Rocket League where everyone plays as Lúcio in a soccer-like match, attempting to “score goals, make saves, and lead your team to victory.” Not wanting to leave the other heroes out, new skins, highlight intros, victory poses, and more are available via special Summer Games 2016 loot boxes, which you can only pick up between August 2nd to the 23rd. Despite the limited time frame, Summer Games loot box can be purchased in bulk just like vanilla loot crates, if that’s your jam. 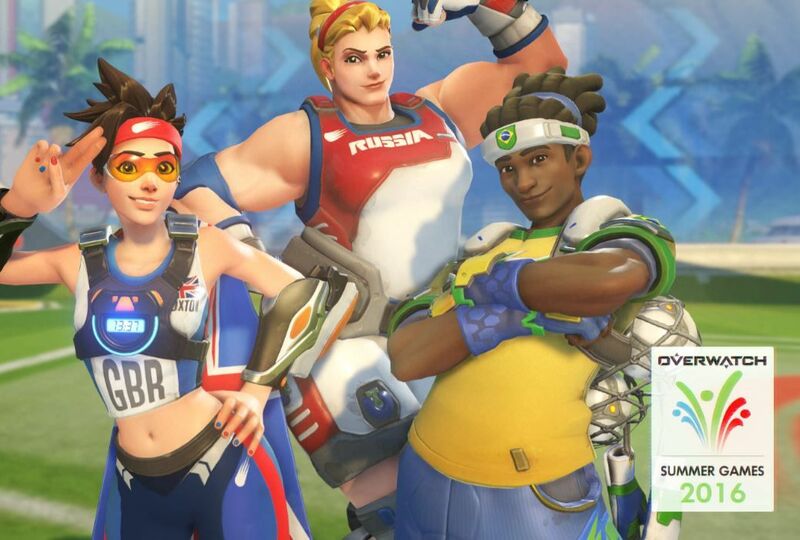 Otherwise, any loot box you earn from regular leveling during the event will be a Summer Games box instead. You can take a look at all the new skins right here. Lúcioball is listed as the Weekly Brawl, which means that there may be more Olympic games coming in throughout the month, and indicates that it’s not going to be a permanent game mode—though possibly recurring. It appears the update isn’t officially Olympics sanctioned, but just a playful thematic piece with good timing. adds, and, game, Games, goodies, Lúcioball, Mode, Overwatch, Summer, Update!